1) It's native to Tennessee and throughout much of the Eastern and Central U.S.
2) Gardeners on the Dave's Garden website say it can tolerate drought, heat and clay soil in hot climates including Tennessee and Texas. 3) Gail at the marvelous clay and limestone blog has high praise for obedient plant, calling it a good colonizing plant that acts as "a magnet for pollinators" including bumblebees, carpenter bees and smaller bees. 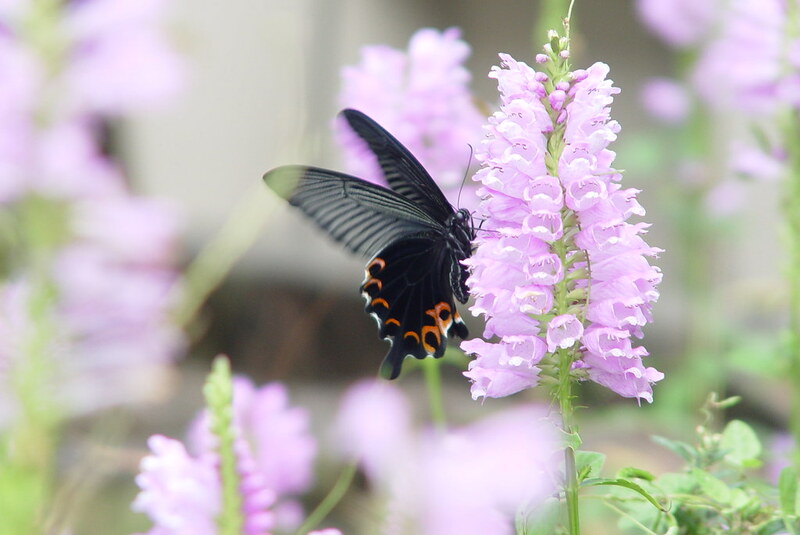 4) The Lady Bird Johnson Wildflower Center says obedient plant flowers may attract hummingbirds. Do you grow obedient plant? If so, what has been your experience with this plant?